Tusshar Sasi	 January 13, 2018	 Leave a Comment on “Kaalakaandi”… A level-headed take on frenzy and trials in a raging metropolis! Let’s face it. 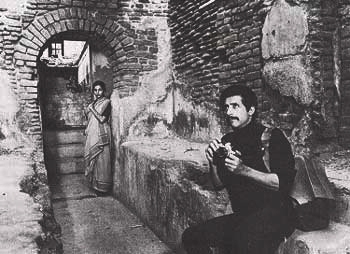 Mainstream Hindi cinema is not used to pure genre pieces unless they happen to bear the routine Bollywood outline somewhere. Be it Anurag Kashyap, Dibakar Banerjee, Homi Adajania, Reema Kagti, Rohan Sippy, Sachin Kundalkar, Nagesh Kukunoor or Raj & DK – we have seen numerous gifted filmmakers falling flat on their faces just because the much-questioned Indian sensibilities were light years away. Not that these makers were always adept with the material they had in place but we could easily sense a compromised final edit or a forced addition of item numbers, midriffs and needless cameos to make up for the films’ unconventional bits. Therefore, the moment I stepped out of a cinema that showed Kaalakaandi to a confused bunch of people, I wondered how the film served to their collective consciousness. For starters, the quintessential Hindi film viewer is one who swears by Sanjay Leela Bhansali-esque costume dramas that have tonnes of dramatic moments and a costume bank that weigh in tonnes. He/she also seems to buy Karan Johar’s brand of tear-jerking melodramas that are anything but mellow. Yes, we need to talk about expectations to a level that is so literal because Kaalakaandi will be viewed primarily by two sets of audiences. One that is forever dismissive given their sky-high expectations driven by certain Hollywood benchmarks. The other group might have just surfed the film’s Wikipedia page and eventually ended up asking ‘Bro, what is so black in here? Where’s the comedy?’ Nevertheless, Kaalakaandi – for me – delivers what it promises although I am still unsure what Aamir Khan was smoking while watching it because the film charters no terrains of absolute hilarity. Verma, who had previously written Delhi Belly, fixtures all black comedy elements in a film that is surprisingly minimal on laugh-out-loud moments. Beneath all the cuss words and madcap situations, there lies a subtle layer of stark human emotions. For a film that navigates mostly through its suave, upper-class leading man (Saif Ali Khan, out of this world), Kaalakaandi also gives us a glimpse of the other strata living in a metro – the middle-class (Sobhita Dhulipala, Kunaal Roy Kapur – spellbinding chemistry) and the lower class (Vijay Raaz, Deepak Dobriyal). The film focusses on a philandering youngster’s guilt trips as much as it does on a young couple who can’t commit to a marriage for reasons other than lack of love. There is also an outline of needy rookies working for the underworld as well as a successful man’s regret of not having lived it up yet. It is a panorama of visuals embedded on top of a story that is diverse yet so firmly connected to a core emotion, that is regret. We witness each prominent character breeding a certain amount of guilt for which only Karma will present an answer. Although one wishes that the way these stories converge is rather convoluted, it somewhere binds together a plot that tends to subvert intermittently. Verma’s writing brings out his characters and their emotional textures exceedingly well and the situations are tremendously human, to say the least. 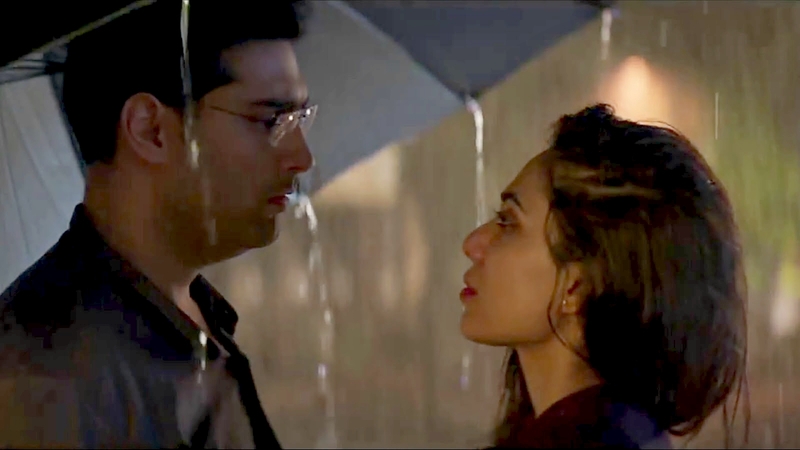 Talking about the story bit, the Sobhita Dhulipala – Kunaal Roy Kapur track is particularly heart-rending. Mounted on the backdrop of a separation, the couple is facing uncertainty with personal dreams taking the centre stage. Still, when a need arises, you see the characters develop a rare sensitivity and turn beautifully tender. It is this quiet, humane quality of its people that works manifold in Kaalakaandi and this is irrespective of the complex narrative arc they are a part of. Amidst the protagonist’s (Khan) bizarre ‘list’ or psychedelic visions, an elementary tinge of loss in his characterization adds bountiful grace to the episode. Also to be noted is the extreme care that Verma takes to sketch out a full-fledged transgender character (Nary Singh) which is also very well-enacted. For many Kaalakaandi might seem a little less hilarious than what it initially set out to be. It also doesn’t present deep character studies other than brushing the surface of myriad urban struggles. The underworld story, specifically, is ill-developed albeit having the best of actors. Nevertheless, Verma’s canvas behaves like a vivid kaleidoscope with a set of people who – at times – are way too real for our taste buds or are otherwise plain screwball to be true. Making it further involving are the film’s super-competent ensemble cast (who utter delectably colloquial lines – thank you, CBFC) and the cinematography that changes contours as the film fluctuates from racy to exquisite and often ominously life-like. All of it happens in a short duration – that of a rainy night in Mumbai. Kaalakaandi will be a great watch if you appreciate writers who know their moody overtones besides a significant share of subtexts and finite details. For the rest, keep your comparison pointers at bay and witness the spirited debutant filmmaker experiment – whatever little might be his budget to dream. 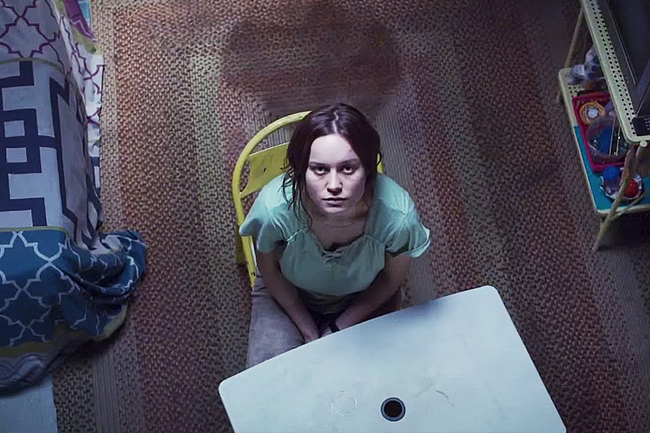 “Room”… A powerful, disturbing story of survival!